Recent studies show that more and more people are taking advantage of self storage facilities to securely store excess household items to free up space in their home or office. While this is often the case during home renovations or downsizing, it is now becoming more prevalent for individuals who are relocating to Ottawa from distant cities and those who are moving to the inner-city from suburban areas. 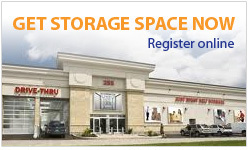 For people seeking a hassle-free move within a city or inter-province relocations, relocation storage in Ottawa at Just Right Self Storage seems to be the latest buzz. Quite often relocations or renovations in your house can lead to loss or damage of precious items. You will be able to find comfort in the fact that renting a storage unit can help your relocation or renovations go smoothly and protect your valuables. Relocation storage in Ottawa is meant for short-term storage and Just Right has several promotions that can help keep your relocation on budget. You may want to take advantage of longer-term storage for some of your items if you find you will be tight on space in your new place or if you have some seasonal items that you don’t need to keep on hand at your home all year round. It is best to speak with one of our mini-storage associates to discuss the best storage options for your needs in order to get the most out of our storage solutions. Please check out our specials and promotions page for our current discounts that can save you money on your Ottawa storage during your relocation or renovations.